A decade (it seems) after we first heard about it, Kanye West has released the video for “All Day/I Feel Like That,” songs that aren’t on his new album The Life of Pablo. It’s directed by Steve McQueen and stars Kanye dancing alone in a room. It’s The Room, starring Kanye West. I haven’t seen The Room yet, but I’ve seen this video. Consider that West went from premiering “All Day” at the Brit Awards in a powerful goosebumps performance on a super packed stage full of dancing black men (very For the People) to this super stark video that’s just him running laps in a warehouse (very For Kanye) and doing what I do in front of my mirror. 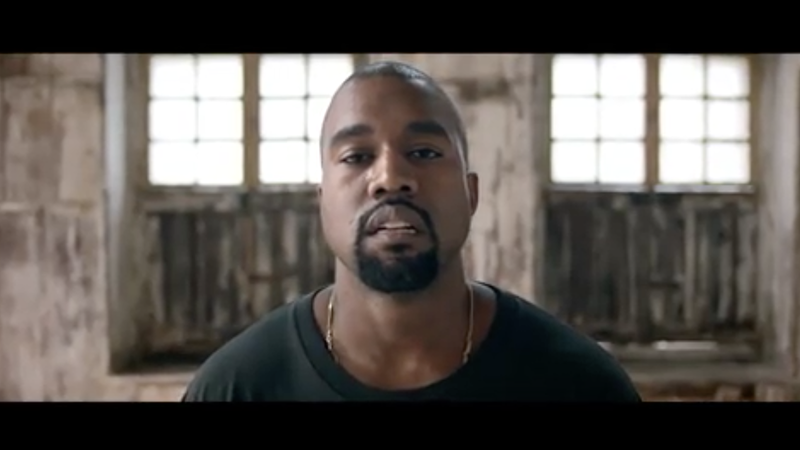 He gets tired pretty quickly (from running) and needs a breather, which is when the video transitions into the great, vulnerable, anxiety-ridden song, “I Feel Like That.” This second half is more intriguing and metaphorically makes sense—Kanye’s exhausted with himself, tired of running. Still, the original performance is way more watchable.